LOVE IT: THE NEW CAPTAIN AMERICA TRAILER COMING TO THEATERS SOON! Posted in Uncategorized | Comments Off on LOVE IT: THE NEW CAPTAIN AMERICA TRAILER COMING TO THEATERS SOON! 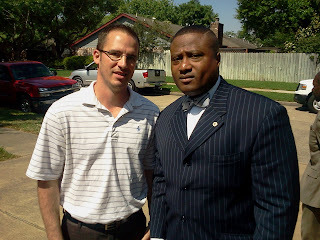 QUANELL X HELPS WHITE HOUSTONIANS WHO HAVE BEEN VICTIMIZED TOO! 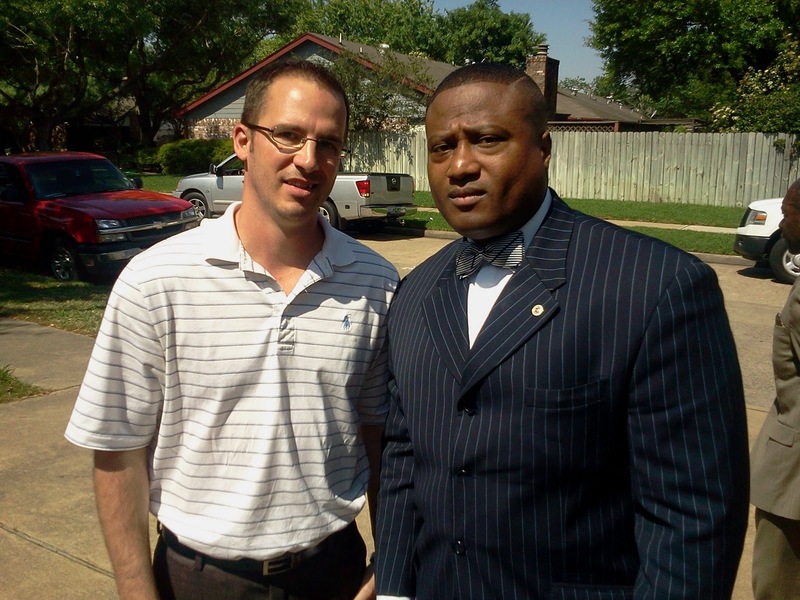 Posted in Uncategorized | Comments Off on QUANELL X HELPS WHITE HOUSTONIANS WHO HAVE BEEN VICTIMIZED TOO! A Harris County Sheriff’s deputy will soon be the target of an internal investigation. He’s accused of brutally beating a man who called the sheriff’s department for help. Jason Millon, 34, said someone was attempting to break into his Cypress area home when he called 911 last Thursday. Millon and neighbors on Overmead Street said the deputy’s focus changed from the suspect they had in custody to Millon. The deputy allegedly attacked Millon, physically and verbally, when he asked to press charges against the suspect who broke into his home. Millon claims the deputy hit him in the head 3 times with a flashlight while he was in handcuffs. So what did Millon do? He turned to community activist Quanell X for help. A man who’s known for taking up the causes of mainly African American residents in our area. Once X heard the facts of the alleged assault he called the Insite and offered me the opportunity to tell Jason’s story. Quanell also directed Millon to the Harris County Sheriff’s office where he filed a complaint against the deputy who’s been with the force since 2002. Millon is hoping he will get some action against the deputy who was once voted an officer of the year by the 100 Club. As far as we know that deputy remains on the streets today. Christina Gaza, a spokeswoman for the department, confirmed Millon filed a complaint and the OIG will investigate. THE MOVIE MADE IN HOUSTON YOU DON’T WANT TO MISS! Posted in Uncategorized | Comments Off on THE MOVIE MADE IN HOUSTON YOU DON’T WANT TO MISS! On Thursday, April 7, 2011, “Stick ‘em Up!,” a highly-anticipated documentary, will debut at the historic River Oaks Theater (2009 West Gray) in Houston, Texas. A revealing look at art notoriety built on stunts, similar to Bankysy’s “Exit Through the Gift Shop”, “Stick ‘em Up!” is an open door into the cloaked and hooded underground street art movement. Hosted by Aurora Picture Show, the film follows several local wheat paste artists, as they work on the streets, walls and rooftops of a sleeping city. Directed by Alex Luster of Shoot. Edit. Sleep. written by Tony Reyes of Stone Kanyon Productions and produced by GONZO247, graffiti artist and owner of Aerosol Warfare, the film explores the renegade world of wheat pasting from both sides, featuring interviews from Houston law enforcement officials and notable street artists, including Give Up, Shepherd Fairey, Dual, Eyesore and Cutthroat, to name a few. True to form, the event will be used to engage the audience on multiple levels, through an art exhibit, live screen-printing and wheat pasting as well as an interactive text-to-graffiti visualization, provided by local web design firm Culture Pilot. Following the show, a private Q&A with the film’s director and producers will allow audience members the opportunity to further explore the street art scene, get to know more about the artists and delve into the filmmaker’s off-camera experiences. With tickets sold out, this screening is a testament to the fascination of an industry that largely operates in the shadows. Watch for the release of additional tickets, available for purchase on the Aurora Picture Show website at http://aurorapictureshow.org/. This exclusive screening will raise funds to support the public programs hosted by Aurora Picture Show. Alex Luster is a documentary filmmaker & television producer living in Houston, Texas. His passion for being behind the camera came at an early age. It lead to his first job in broadcast tv at the age of 14. His appreciation for urban art has culminated in the documenting of a rising inner city art form. HEY THE INSITE MAKES IT TO THE HOUSTON DEFENDER NEWSPAPER! Posted in Uncategorized | Comments Off on HEY THE INSITE MAKES IT TO THE HOUSTON DEFENDER NEWSPAPER! 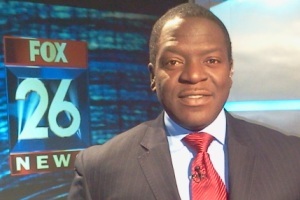 Ever since he was in a little boy, Fox 26 News reporter Isiah Carey has known what he wanted to do in life – work in television news. It’s that passion for telling stories, digging deeper, and bringing about change through his reporting that fuels Carey’s fire. Carey is one of Houston’s most well known reporters – a title that he still has a hard time accepting. “I tend to try and cover the stories that people care about but I still have a ways to go to be Houston’s most well known reporter,” he said. Known for relentlessly digging for the story, Carey prides himself on giving voice to the people – even if it means sometimes making people mad. “When I look for a story, it has to make the hair on the back of my neck stand up. I want something that affects me, that affects others, not just what goes on in City Hall, but stories people will actually care about,” he said. Carey has also taken his voice into the blogosphere – where his blog, the Insite, has become a go-to source for many seeking news and happenings in the Houston community. “I started using it as my personal rant and from that, it took off and I realized that people wanted to hear more than just about news stories that they can get on TV or the newspaper. They want to hear about the back-story, or what doesn’t make the news, or what it took to cover the story. I had no idea that it would take it off like it did,” he said. Carey started the blog in 2005 after getting an ugly email from the wife of a white firefighter. While Carey has received nationwide attention, the movie buff is content calling the Bayou City home. QUANELL X: THE POLICE ARE BEATING THE HELL OUT OF ANYBODY EVEN WHITE PEOPLE! Posted in Uncategorized | Comments Off on QUANELL X: THE POLICE ARE BEATING THE HELL OUT OF ANYBODY EVEN WHITE PEOPLE! THE CLERKS SAY THEY CAN’T GET A RAISE AT A MULTI-BILLION DOLLAR COMPANY! Posted in Uncategorized | Comments Off on THE CLERKS SAY THEY CAN’T GET A RAISE AT A MULTI-BILLION DOLLAR COMPANY! Press Release: ExxonMobil is denying a raise to clerical workers at its Baytown, Texas, facility despite earning $30.5 billion in 2010. The United Steelworkers Union (USW) Local 13-2001 represents the 41 workers in the bargaining unit, all of whom are women. The union and the company began negotiations March 1 for a new three-year agreement. The contract expired March 15. As support staff in the Baytown refinery, chemical plant, lab and main office building, the women do clerical and analytical work and handle functions like payroll, auditing and accounts receivable/payable. “They are the central nervous system of this place. Without them everything would go awry,” said Local 13-2001 President Ricky Brooks. ExxonMobil’s last, best and final offer was a zero percent wage increase in the first year and a non-strike wage re-opener in the second and third years of the contract. The union rejected the offer. The clerical unit joined the USW’s National Oil Bargaining program in 2008 along with the Baytown site’s refinery, chemical plant and lab bargaining units. Brooks said ExxonMobil needs to follow the pattern set in 2009 and obtained in 2010 by the site’s other three bargaining units. This would mean a 3 percent raise and $2,500 signing bonus the first year of the contract for the clerical workers. For the remaining two years of their contract the clerical workers would like to get whatever pattern is set in 2012 National Oil Bargaining talks. District 13 International Staff Representative Richard “Hoot” Landry said ExxonMobil told the union that a raise for the clerical workers would elevate the group to a level above the company’s competition. He said the union submitted an information request to the company in order to learn who it views as its competition. Other area oil and petrochemical clerical workers earn more, he said. Landry said the present contract will continue in effect unless either party gives notice of a lockout or a strike. As of now, no notice has been given. THE PRODUCT PITCH-MAN HAS MOVED TO TELEVISION! Posted in Uncategorized | Comments Off on THE PRODUCT PITCH-MAN HAS MOVED TO TELEVISION! Houston controversial radio talk show host Michael Berry has become hugely popular since walking away from City Council and into the studios at KTRH radio. He’s become so popular that there’s a hamburger named after him at a Goode Company restaurant, he hangs out with country music stars, he susbstitutes for national radio hosts, and has one of the most popular local AM shows in town. That popularity has now translated into tv time for the radio guy. 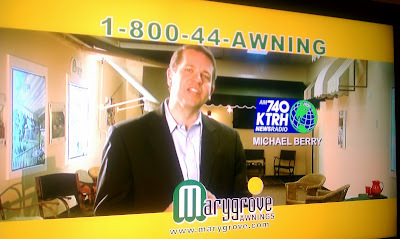 On Wednesday night I was shocked to see Berry doing a television commercial for Mary Grove Awnings. It’s no big surprise to hear Berry moving products on his radio show or during other time slots on KTRH. But it was a big surprise to see that a local company wanted the radio guy to pitch their product on tv. That shows Berry is becoming or has become a brand and translates well to the small screen. Good luck MB and may you rake in that cash! WOULD YOU ALLOW YOUR CHILD TO PISTOL WHIP YOU INTO BUYING A CAR? Posted in Uncategorized | Comments Off on WOULD YOU ALLOW YOUR CHILD TO PISTOL WHIP YOU INTO BUYING A CAR? A Florida teenager is facing charges she pistol-whipped her mother during an argument over co-signing for a car, authorities say. 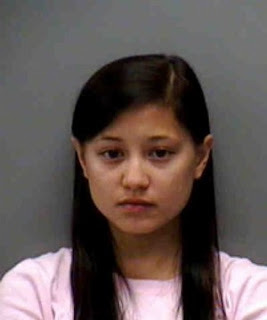 The Lee County Sheriff’s Office said Rachel Anne Hachero, 17, was charged Friday with aggravated assault with a deadly weapon, unlawful possession of a firearm and battery, The (Fort Myers) News-Press reported Monday. The mother told police Hachero became angry when she refused to co-sign for the vehicle purchase and threatened to kill her, the newspaper said. A police report stated the teen hit her mother with the gun, then pointed it at her mother’s head and stomach before demanding she drive to the dealership to sign for the car. The two then went to the dealership where the mother signed for a 2004 Nissan 350Z before the daughter left in it. The mother told police she later found the gun, drugs and drug paraphernalia in Hachero’s purse while her daughter was at school. She told authorities she didn’t want to press charges because her daughter had been accepted to several prestigious colleges. But deputies decided the seriousness of the incident warranted charges and the gun allegedly used by Hachero had been reported stolen from the home of a Lee County Port Authority officer in Fort Myers last July. 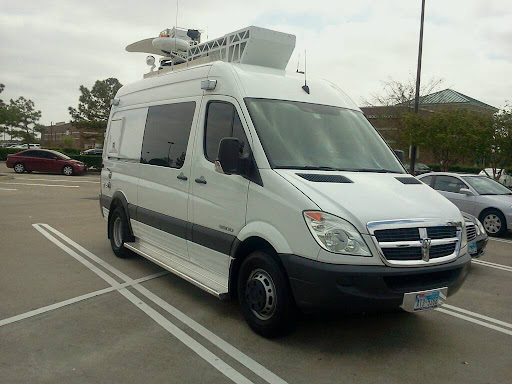 KRIV TV FOX 26 HAS SOME NEW VEHICLES ON THE ROAD! Posted in Uncategorized | Comments Off on KRIV TV FOX 26 HAS SOME NEW VEHICLES ON THE ROAD! I jokingly refer to them as bread boxes but the two new live units Fox 26 has on the road are really cool. The trucks were designed and built by KRIV engineers. 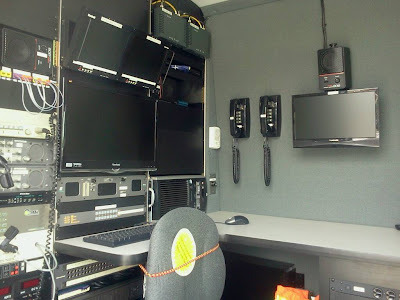 They’re able to go live from all over our viewing area using microwave signals. The vehicles are actually the Dodge Sprinter 3500 model. The roomy unit makes it very easy for news crews to move around inside while covering the big story of the day. If you see the new Fox toy in your neck of the woods make sure you honk your horn! I GUESS I WILL BE GOING TO SOME OF THE NCAA ACTIVITIES IN HOUSTON! Posted in Uncategorized | Comments Off on I GUESS I WILL BE GOING TO SOME OF THE NCAA ACTIVITIES IN HOUSTON! A photographer delivered a plain white envelope to my desk. I had no idea what it was until I opened it. 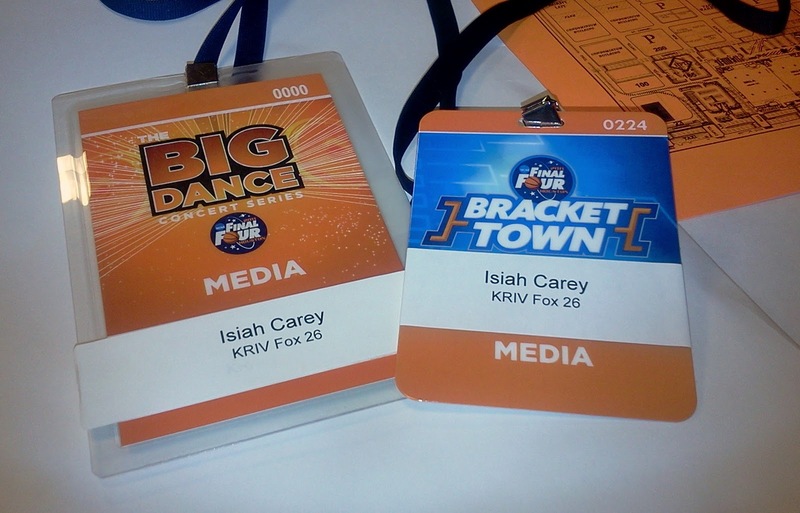 I guess I will be in the heart of all the Final Four action. NCAA here I come. Booyaa! JUDGE DECLARES A MISTRIAL IN THE EVERSOLE CASE! Posted in Uncategorized | Comments Off on JUDGE DECLARES A MISTRIAL IN THE EVERSOLE CASE! 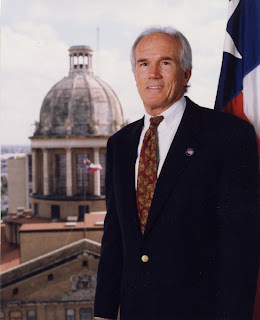 Federal Judge David Hittner declared a mistrial in the federal case against Harris County Commissioner Jerry Eversole. Eversole was accused of financially benefiting from a friend and business associate who did business with the county. After deliberating for several days a federal jury failed to come up with a verdict. This means the case against Eversole is over unless the federal government decides to put him on trial again. Stay tuned to FOX 26 news for updates and the latest information! 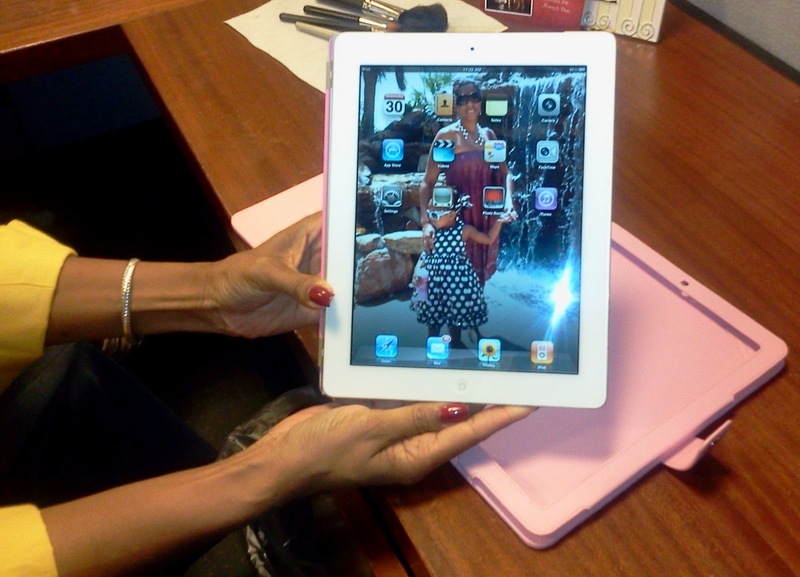 THE IPAD 2 HAS NEVER BEEN SO PINK! Posted in Uncategorized | Comments Off on THE IPAD 2 HAS NEVER BEEN SO PINK! 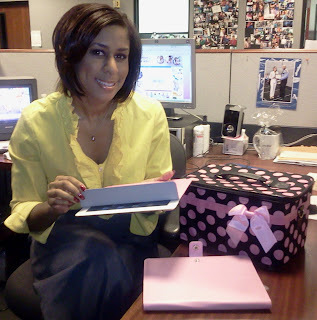 FOX 26 news anchor Damali Keith is now drinking the Apple Kool-Aid. That’s because she’s purchased the new Ipad 2 wifi and 3g. 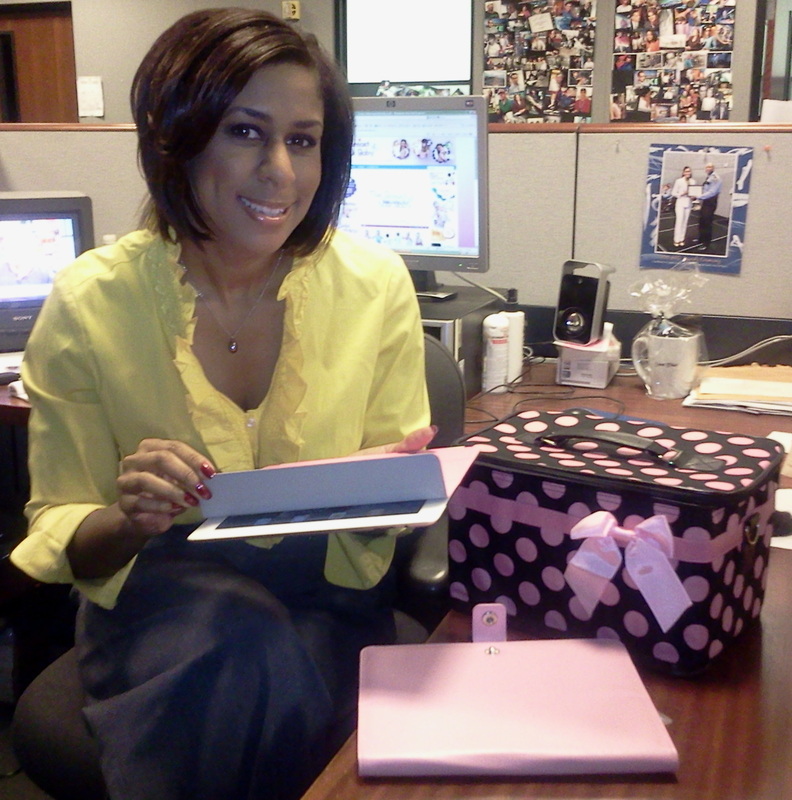 Leave it to Keith to have the computer device outfitted in a pink carrying case. Keith, who in the past, has left all the electronics buying in the newsroom to me decided to go hi-tech. She says, “because it’s so cute…and it’s less bulky than a laptop and it’s more convenient for doing my research in the field.” I’m actually fuming because she passed on the better equipped and more powerful Samsung Galaxy Tab. It’s what I use!